Breakconvention – Company history / What we do. In July 2006 Breakconvention live began managing and promoting live music events in London. The company was founded by three friends with a shared passion for live music. We work with Record Labels, Band Managers and Talent Agencies, to produce quality live music event experiences. In music promotion, time & preparation are crucial to ensure effective marketing execution. We like to begin work on planning an event four to six months in advance, then ramp up marketing activity eight weeks before the event. We act as the main point of contact for everyone involved in each event. We book the venue, the bands, and are responsible for all financial arrangements. We oversee production and distribution all marketing materials. We work closely with ticket sales vendors & venue staff to ensure all (front of house) ticket sales information is in place. We also work with Sound Engineers (back of house) to ensure all technical production arrangements are made in advance of each event. To date, Breakconvention has successfully produced 48 concerts in London and two events in Brussels. Line-ups have featured some of the best emerging bands from the UK including ‘Waylayers’, ‘Roo Panes’, ‘Josh Flowers’, ‘The Collectable Few’, ‘Escapists’, ‘Alex Vargas’ and Ireland’s ‘In Their Thousands’. 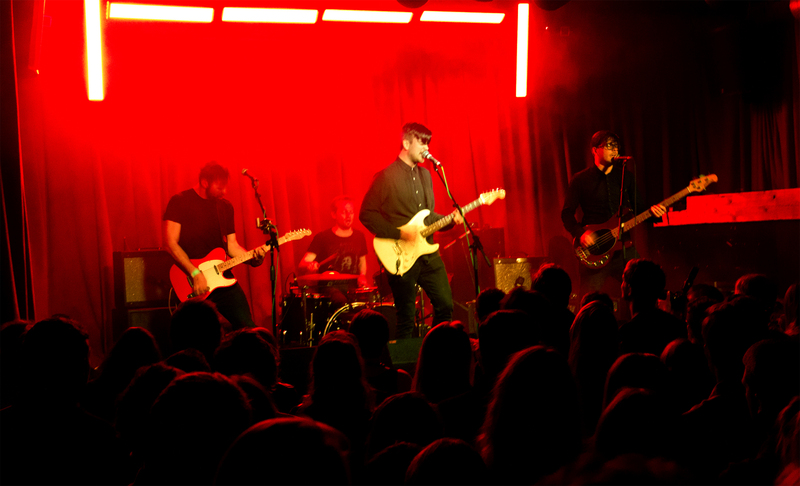 We have hosted events at many famous London venues, these include Bush Hall, The Borderline and The Barfly (Now re-named Camden Assembly) and Hoxton Square Bar & Kitchen which have long historical associations with the indie, pop and rock music genres. We tailor bespoke Social media marketing strategies for each event we promote. We administrator all Facebook Events on behalf of all bands we work with. We employ a combination of PPC adverts and paid FB post boosts to target fans, improving marketing reach and online visibility. Our posts, feature related video content, event posters and ticket vendor links. We also work with recognised bloggers and social media influencers to deliver promotion. Previously we have used music video content to great effect. Our promotion strategies often employ a timed video release from the headline and /or support bands. We then distribute the videos in FB posts featuring the ticket vendor links to drive ticket sales for the live event. Breakconvention has always held a passion for producing music video content. In March 2013, we filmed a series of live performance videos for the band ‘Tinlin’ at Birmingham symphony Hall, where the band supported Paul Carrack. These videos can be seen on YouTube. ‘Breakconvention Live consistently marketed well-attended live music events, which made great ticket sales and bar take profits for The Borderline, London’ – Gemma Gilford (Mama Co.) Ex-Borderline & Hoxton Square Bar & Kitchen – Venue Manager.